Four years after setting up a “home away from home” in the Franschhoek winelands of Cape Town, he is increasing his investments in the hospitality sector in South Africa. Analjit Singh, the promoter of the Max Group, is raising money to fund his private ventures - boutique hotels in South Africa, the UK and Italy and vineyards in South Africa and some real estate investments in India. Singh is raising Rs 20 billion (Rs 2,000 crore) from private equity firm KKR, The Economic Times reported Tuesday. This is likely to be a structured debt deal, which comes with certain assured returns and an equity upside. Singh first came to South Africa in 2010 for the FA World Cup, and fell in love with this country, and now spends more than three months a year here. Singh has “17 land holdings and substantial hectarage under wine cultivation,’’ he told Forbes Africa in 2017. He set up Leeu Collection, an international collection of four boutique hotels, restaurants, a spa, a microbrewery, and home to Mullineux & Leeu Family Wines. Singh, with a net worth of $1.19 billion, is a partner in Mullineux & Leeu Family Wines, which produces wines in the Swartland wine region, some 800 kilometers north of Cape Town. This is overseen by winemaking duo Chris and Andrea Mullineux. Singh runs a 17-key country house and winery on Leeu Estates, a 68-hectare farm in the Franschhoek valley, and secures wine from 50 vineyards in Franschhoek and Stellenbosch, Forbes Africa reported in June 2017. He also renovated Leeu House into a 12-room hotel that’s “very Cape Dutch” featuring thatched roofs, gables with plaster art, shutters and stable doors. At the Heritage Square, he opened Marigold, the town’s first Indian restaurant, and set up Tuk Tuk, a craft beer microbrewery. “I was looking for new vistas and personal renewal, so Franschoek appealed. I have found such connect and sense of place here,” he told Forbes. With a substantial, high-end presence in the winelands, Singh’s boutique winery targets the export markets of the United Kingdom, some parts of America, Europe and is just started making an entry into Asia. Singh also acquired properties in Lake District of South Africa, Florence in Italy and London. With a total of “68 keys combined in all properties” around the world, he is looking to grow to 105 by the end of next year. He also wants to venture into game parks and safaris in this part of Africa, and in the education space in South Africa. Singh’s private ventures - hospitality ventures abroad and real estate holdings, which is commercial real estate and senior living facilities - have incurred a debt of $300-350 million, ET reported. He may want to retire some of this debt through this deal, say analysts. Max Group has three listed companies - Max Financial Services that holds the life insurance joint venture Max Life; Max India, the holding company for Max Hospitals, Max Bupa (general insurance) and Antara Senior Living; and Max Venture Industries, which holds the packaging business and is foraying into commercial real estate. 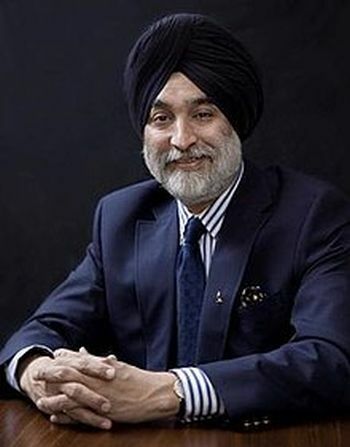 Singh holds 40 per cent stake each in Max India and Max Venture and 30 per cent stake in Max Financial; KKR bought 10 per cent in Max Financial in 2016. Max Life’s aborted merger with HDFC Life would have given Singh a seven per cent in the merged entity. Since then, there have been reports of stake sales in Max Financial and strategic stake sales in the insurance and health care businesses. All these companies are profit-making, dividend-paying companies and Singh doesn’t need to raise money to invest in them, said an analyst closely tracking the Max Group. Max Venture is planning a Rs 4 billion (Rs 400 crore) rights issue, for which Singh will need money to subscribe to the same.